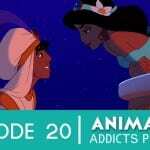 Animation Addicts 20: Aladdin – Take Off Your Clothes? 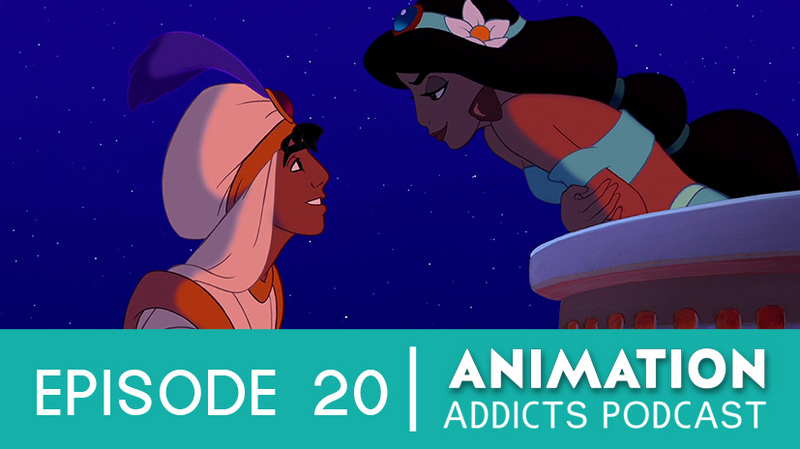 The gang is finally back for a classic Rotoscopers episode with their review of Disney’s Aladdin! Also join in for the animation news and a discussion on the impact of celebrity voice actors. Mini Nerdy Couch Discussion: Do we really need a Finding Nemo sequel? Is Pixar coping out? Real Nerdy Couch Discussion: Professional voice actors vs. celebrities? Do celebrity voices really add to an animated film? What characters were you surprised when you realized who did their voice? Jafar: his design & inspiration, would someone like Jafar really associate with Iago? Conundrum: why didn’t they just pass the lamp around & get some free wishes before releasing the Genie? Sultan: young at heart, what’s with the “mystic blue diamond”? Conundrum: Aladdin touches the carpet. So is the carpet not a treasure of the Cave of Wonders? Did Aladdin and Jasmine get married at the end? Why wasn’t Robin Williams in Return of Jafar? Find us on the web: rotoscopers.com, Twitter, Facebook, YouTube, tumblr, hypable & Animated Views.